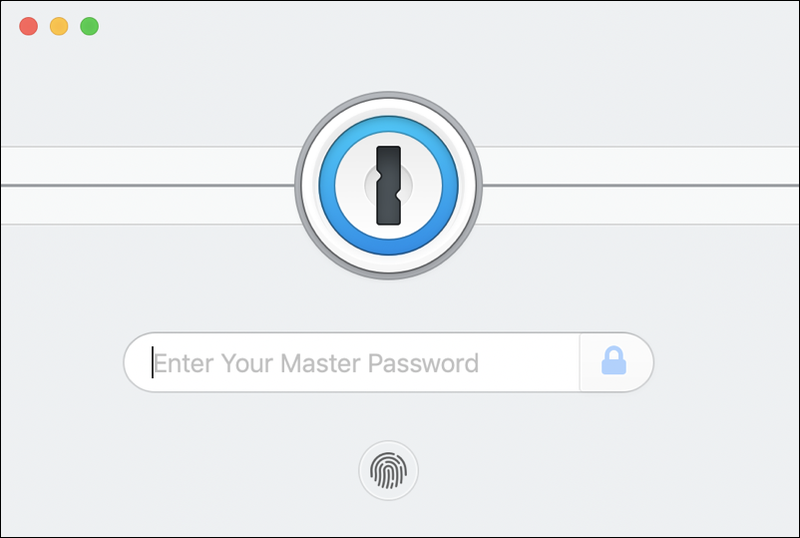 / Do you Trust your Mac to Keep your Personal Info Private? Did you know that your ISP can actually monitor and view your online habits? Many ISPs do and it’s not even illegal for them to do so. It’s all because of how data travels through the internet (more on this later). Hackers and bad actors will use malware, phishing, and every method in between to steal your information as a living. Things have gotten so bad that cybercrime has become a global economy. Advertising companies often employ online trackers to follow your every move in cyberspace. They’ll then use the information to glean an accurate personal profile for each user which they can use to target users with personalized ads. Even the industry tech giants themselves are getting on the big data train. These companies’ products track your online activities by default and require you to manually choose the most private setting. Perhaps the most infamous privacy concern we face will be that posed by our very governments themselves. This privacy threat often comes from the countries belonging to the 5-eyes jurisdictions. They’ve already made moves against information encryption offered by privacy and security companies. While the Mac does come with built-in privacy features, you may want to add more layers of privacy to be sure to stand up to serious attacks. Here we list down the best privacy applications you can install on your Mac to bolster your privacy. A word of warning though: absolute privacy is a myth. The technology arms race keeps pushing offenders and defenders to find new ways around the current data-protection tech. So, while this guide won’t give your Mac absolute privacy, it is a step to improved privacy. A VPN (Virtual Private Network) should be the first app you install. This software is not only renowned for securing online data but it boosts privacy as well. To understand how this is done, one first has to understand how data travels through the internet. Let’s say you want to search for “red sneakers". You open your browser and type in these keywords. When you do, your browser sends a query to a DNS server which points it in the right direction. The thing is, the query your browser sends is in the form of small data packets which consist of plain text. The plain text is readable to anyone who can get a hold of them. This includes your ISP, hackers, and your government. A VPN prevents protects your online data by encrypting it into unreadable jargon. This prevents anyone intercepting your online connection from reading what you’re searching for. VPNs also hide your true IP address so people finding your encrypted data won’t be able to trace it back to your Mac and personal identity. This is how VPNs provide some privacy by focusing on security. There’s a VPN for every budget so there’s no need to skimp on security. If you want a nudge in the right direction here’s a list of the best VPNs for Mac you can find. These VPNs have been tried and tested to be optimized for the Mac so you’re bound to find one that suits you. Aside from a VPN, a good antivirus should be installed. “Wait. Isn’t an antivirus made for security?" you may ask. Yes, these apps are designed primarily for security but, like VPNs, they also give you privacy. Most people are aware that antivirus programs seek and destroy malware like viruses, trojans, and worms, but they also get rid of spyware that steals your identity (especially when using insecure HTTP sites). Furthermore, some antivirus apps come with built-in firewalls that protect your local network from unwanted data being inserted from an outside network. Some firewalls actively protect you from being victimized by phishing scams made to steal your identity or that convince you to navigate to a malware site. Now that you know how data travels through the internet, it’s easier to understand why your typical online browser must go. Normally, Safari’s private mode is enough to prevent people from spying on your online searches by not keeping your history and by clearing cookies after every session. However, this does not prevent your ISP and other bad actors from spying on your online activities. This is why it’s best to replace Safari with a private online browser like TOR (The Onion Router). TOR is built primarily for privacy and is the most popular way privacy browsers out there. It keeps your privacy by enveloping your data in several layers of encryption and then “bouncing" that data across several other nodes. The beauty of TOR is it comes with a private search engine called DuckDuckGo. While Safari does have the settings to ask sites not to track you as well as prevent cross-site tracking, if you’re replacing it with a private online browser, you’re going to need a compatible private search engine. This is where DuckDuckGo comes in. It’s a search engine that doesn’t track your searches so you’re sure your online activities remain private. Furthermore, it doesn’t use personalized search results that most search engines employ. Of course, you could always replace DuckDuckGo with another private search engine of your choice. It all depends on which search engines you trust. Whichever you choose, the important thing is that it doesn’t track your online activities. Another important privacy app to install is an encrypted messaging app. People have moved from the olden days of landlines and letters to the more modern Internet-based texts, chats, and video calls. The problem with these is that they often come with default settings that are not private. Most people, for whatever reason, use these default settings out of the box without any qualms about how private they are. This is especially true of messaging apps that come with AI that assists users on how to respond to the messages they receive. This is sad, especially since even the US FBI can’t crack encrypted messages without help from the app’s company itself. Also, you may belong to a profession or industry that requires you to treat all communication and correspondence with utmost secrecy. If so, your standard messaging apps just won’t cut it. You’re going to need a private messaging app like Signal, Telegram, or Cryptocat. These apps come with built-in end-to-end encryption by default. They also allow you to make texts, calls, and even video calls — all while being encrypted. Your line of work might require you to use a private email service rather than a full-on private messaging app. If so, you can simply install an anonymous email service like ProtonMail, Guerrilla Mail, Mailfence, or Tutanota. These anonymous emails encrypt your messages thereby preventing them from being used to create personalized targeted ads. You’ve heard this one before but it’s worth repeating: Never share your passwords. It’s not like most people just give away their passwords to anyone, but with the passwords they’re using, they might as well do so. This is because many people still use weak passwords. Along with your username, your password is the key to your various online accounts — and all the information they contain. You wouldn’t want a key that anyone can copy, right? This is why a unique password should be used. The thing is, strong unique passwords are often very hard to memorize due to their complexity which is why many people avoid using them. Once a strong password is chosen, people are often tempted to use them for all their accounts which is also a bad idea. So, how do you make strong passwords that you don’t need to remember? Answer: Use any of best password manager apps. These apps don’t only formulate strong passwords for you, they also keep these passwords safe. What’s more, you don’t need to copy+paste these passwords since these apps come with an auto-fill function. Finally, you may want to install a privacy cleaner app to deal with any and all unwanted data. Let’s be honest. It’s simply too tiring to look for, and one-at-a-time, delete specific photos or messages that you’d rather not keep anymore. These pieces of data aren’t only taking up space on our devices, they may also represent memories that we’d rather forget and might end up problematic if they wind up in the wrong hands. This is where a privacy cleaner app like CleanMyMac or Macbooster might be useful. These apps let you conveniently delete several photos or messages all at once thereby saving you the time and effort while opening up more storage space for your device. Our personal information should be protected like gold. While your Mac has built-in privacy settings, it never hurts to install added privacy apps. Get a VPN and antivirus for a little privacy while also securing your data. Avoid getting tracked online by using a private browser and search engine. Defend yourself from spies by using only encrypted messaging apps and anonymous email services. Finally, make your life easier by using a password manager to make and keep strong passwords for you and use a privacy cleaner app to get rid of unwanted photos or messages. This is a reader-contributed guest post. Yes, it’s essential to make sure all your data is secured and private. It’s so easy to steal data from a PC if you do not know about data privacy.